Ready to discover a better, healthier you? - You're in the right place! With JCJNutrition's Online Store you can purchase our nutrition planning programs as well as complete the necessary intake forms and surveys. Next, JCJ will assess your personal nutrition requirements, build menus and shopping lists, and make sure you have plenty of variety in your meal plan so you don't get bored. All packages include a combination of nutritional assessment, meal planning, and food preparation tips including grocery store strategies, nutritionally sound cooking methods, and delicious recipes. Once you select a service below and complete the online payment, you will be directed to fill in a New Client Intake Survey. This survey will provide JCJNutrition with the necessary information to produce a nutrition program for you. You will also be emailed a Food Diary template. The Food Diary asks you to record your meals and associated feelings or physical sensations for 4 consecutive days. We ask that you include 2 weekdays and 2 weekend days so we can have a comprehensive view of your current lifestyle. Once you submit your Food Diary by email, JCJNutrition will contact you within 2 business days to proceed with your custom nutrition program. * Follow-up #1: Start-up consultation. 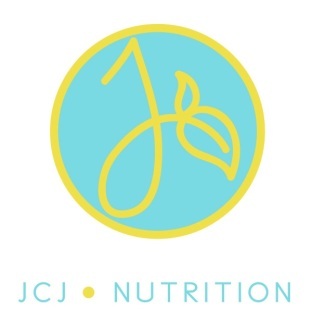 JCJ will meet with you to determine your nutritional needs, specific dietary concerns, food likes and dislikes, and personal schedule. * Follow-up #2: Custom meal plan delivery, grocery store strategies, and label reading. JCJ will walk you through your new meal plan and answer any questions you may have about scheduling, substitutions, etc. JCJ will discuss grocery store and nutrition label reading strategies so you can successfully shop to meet the needs of your meal plan. Learn the real meanings behind “low fat,” “sugar-free,” and “whole grain.” Discover which food ingredients to avoid. * Follow - up #3: A follow-up and forward planning for your health and success! Including how to eat out while sticking to your meal plan, how to fit treats and cheats into your healthy lifestyle, and how to avoid falling off the wagon. A program just for you! For the couple who wants to get fit together! whole family, even the kids! For the couple who is getting fit together!